Quality Chess works together with National Book Network in the US, www.nbnbooks.com, and with Sunrise Handicrafts of Lublin, Poland (www.polishchess.com) in Europe. 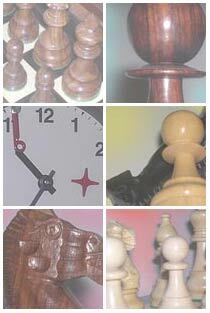 Sunrise specialises in the production and sale of chess sets and combined orders can be organised to the benefit of all. Chess retailers in the US are asked to contact National Book Network directly, while customers in Europe are asked to contact us about purchase of our books.